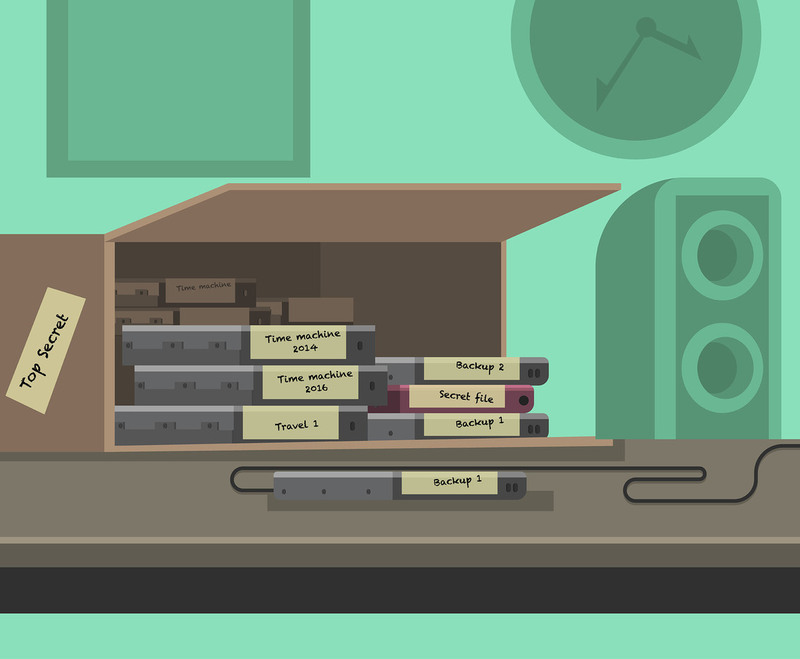 This illustration depicts a box full of hard disk collection. Each of the disk is labeled according to the files it contains. I hope it's useful for your design projects.